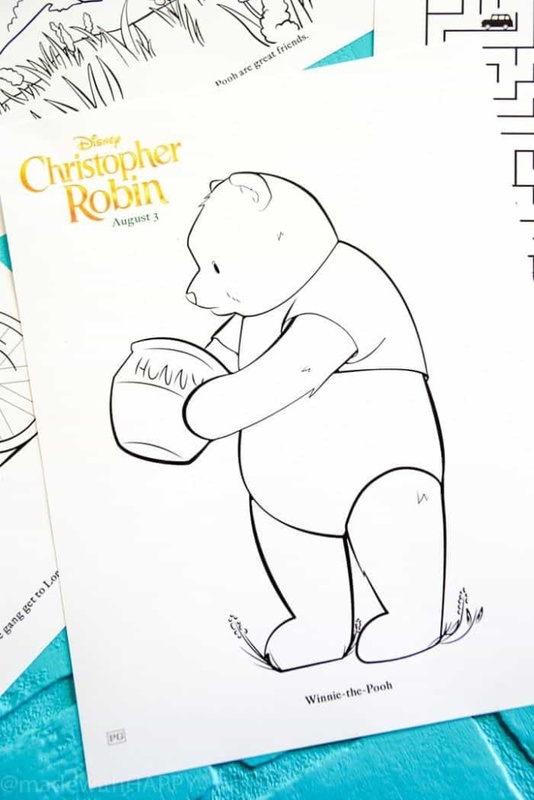 Looking to celebrate the Disney’s Christopher Robin Movie. 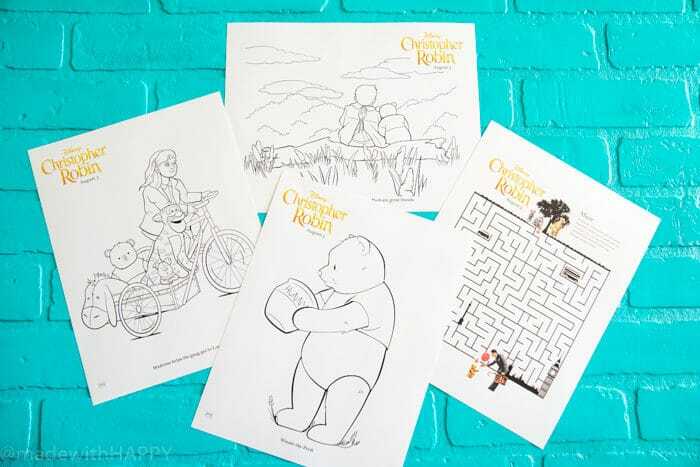 We have some great printable activity sheets and coloring sheets. 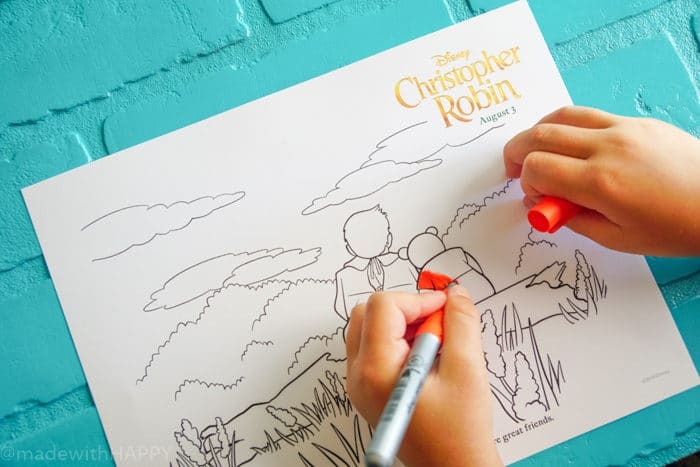 We were among the lucky few that had a sneak peek at Disney’s Christopher Robin Movie. It is a movie with all the feels. 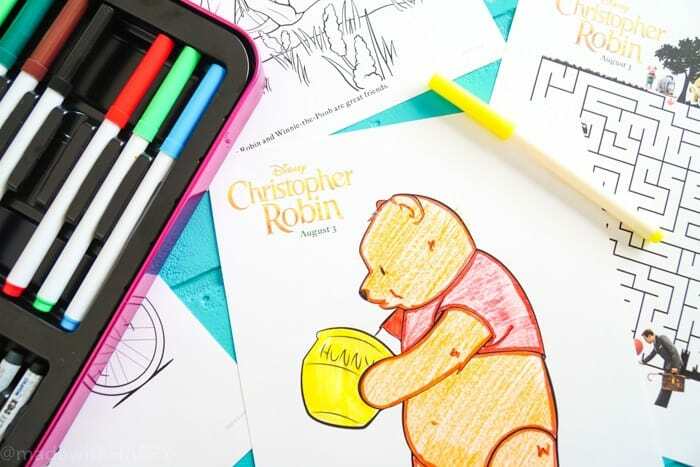 This is one of those movies where you have all the nostalgic feels about growing up with Winnie the Pooh mixed in with all the feels of being a parent and the pressures. 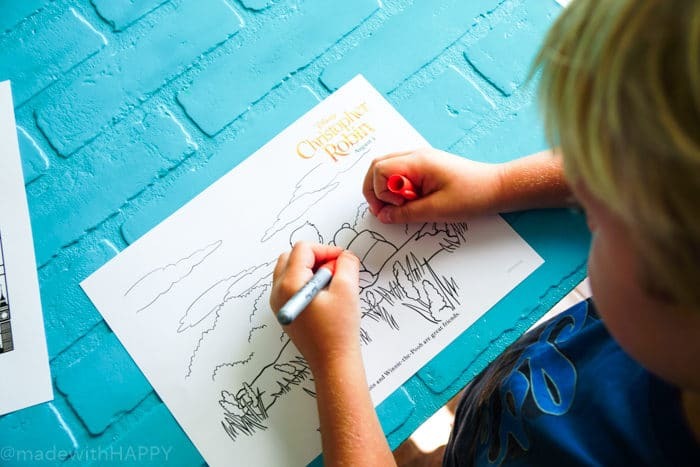 One of the themes throughout the movie is about living more in the present and living the life with your family now and not putting things off till later. 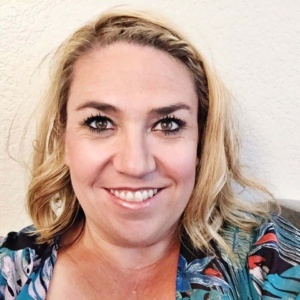 As a busy Mom and small business owner, I struggle with this so often. Its a matter of reminding myself constantly that there is always going to be work and that my kids are only this little right now. 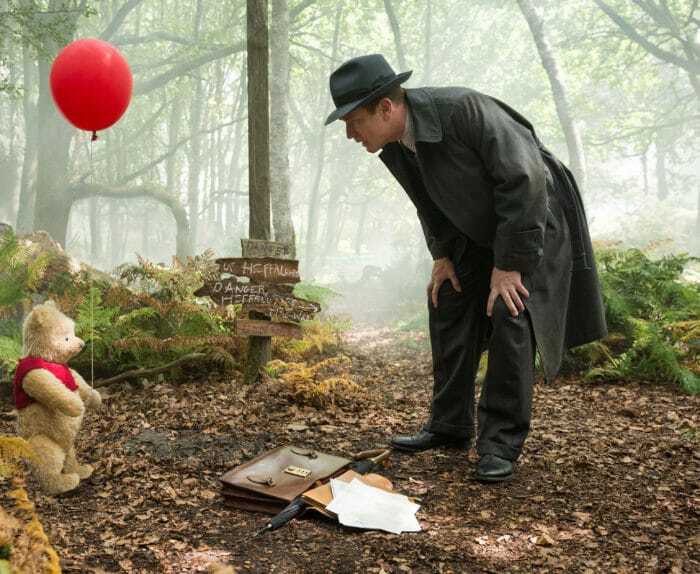 Ewan Mcgregor was a great Christopher Robin too. He was relatable and endearing and the perfect for the role. Oh my gosh you guys, this movie is so good! I really hope you all love it as much as we did. 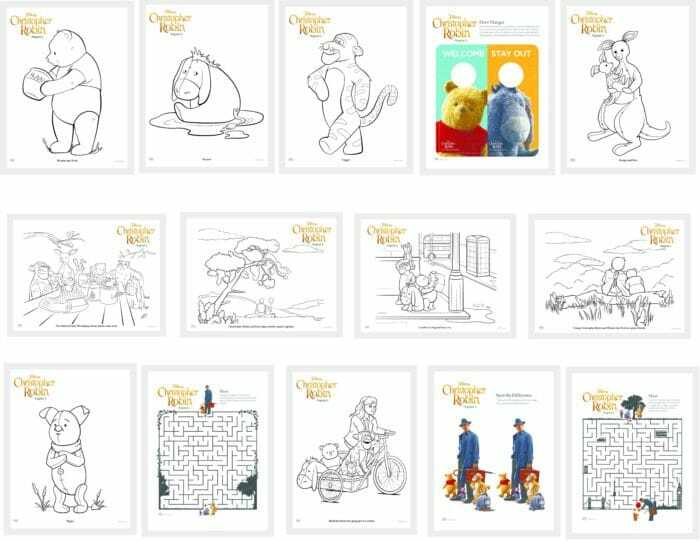 To commemorate the movie launch, we decided to put together some of our favorite 100 acre forest friend printable and activity sheets. 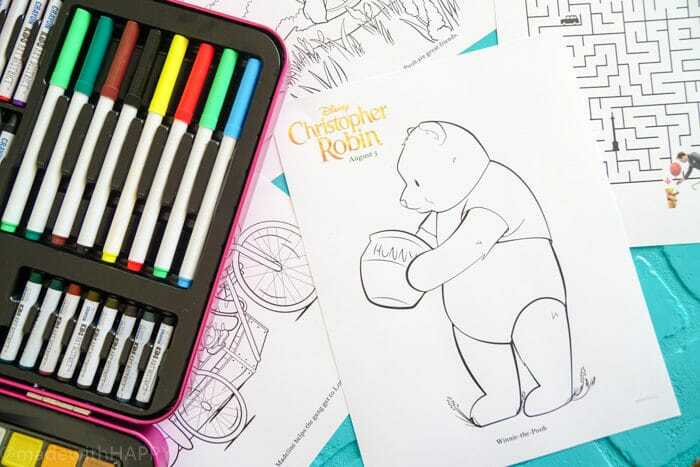 Simply print out your Christopher Robin coloring pages and use your favorite markers, pencils or crayons to bring your favorite movie to life. 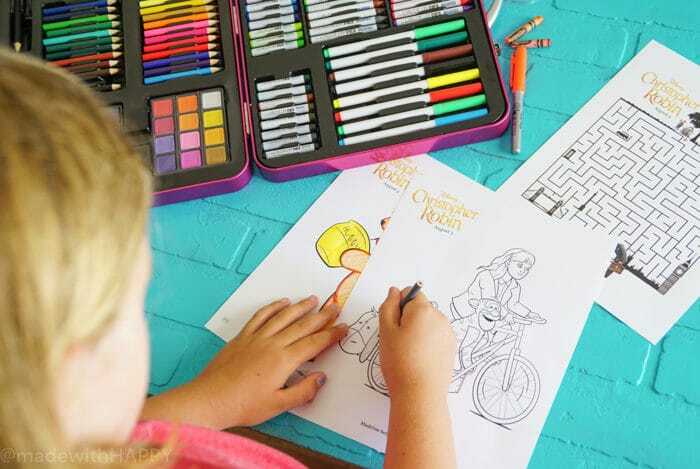 My kids love printing out activity sheets and coloring pages for movies like this. We printed them out before the movie and I have been asked to print them out a few times since seeing it. I have a feeling these are going to be a family favorite for a long time. 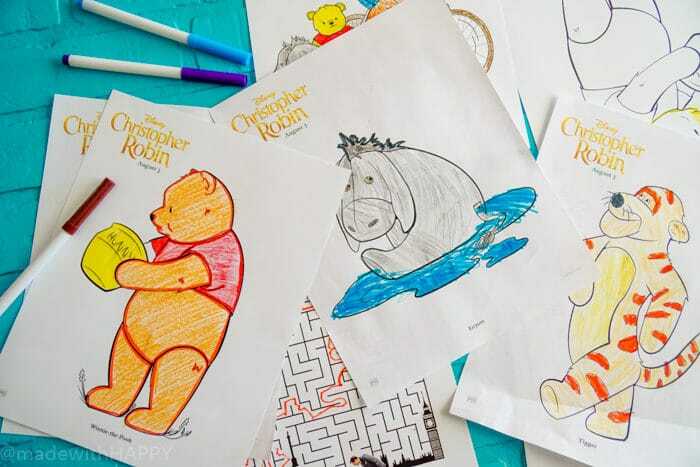 I mean, it is Pooh after all. 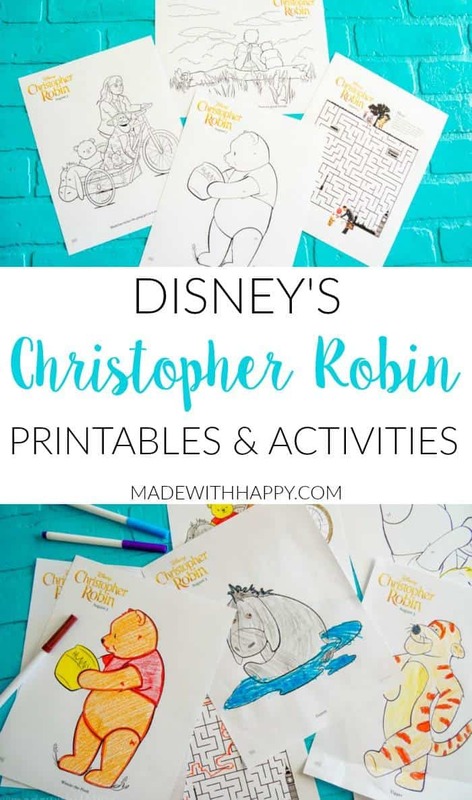 Whether you’re throwing a Winnie the Pooh party or just excited about Disney’s Christopher Robin Movie, these printables and activity sheets are all kinds of fun! 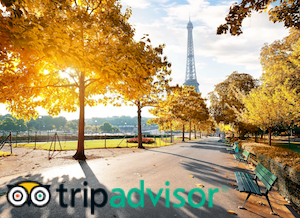 PIN IT TO YOUR KIDS ACTIVITIES BOARD ON PINTEREST!